Three comfy, cozy spots for snoozing or viewing in one Purrfect combination. 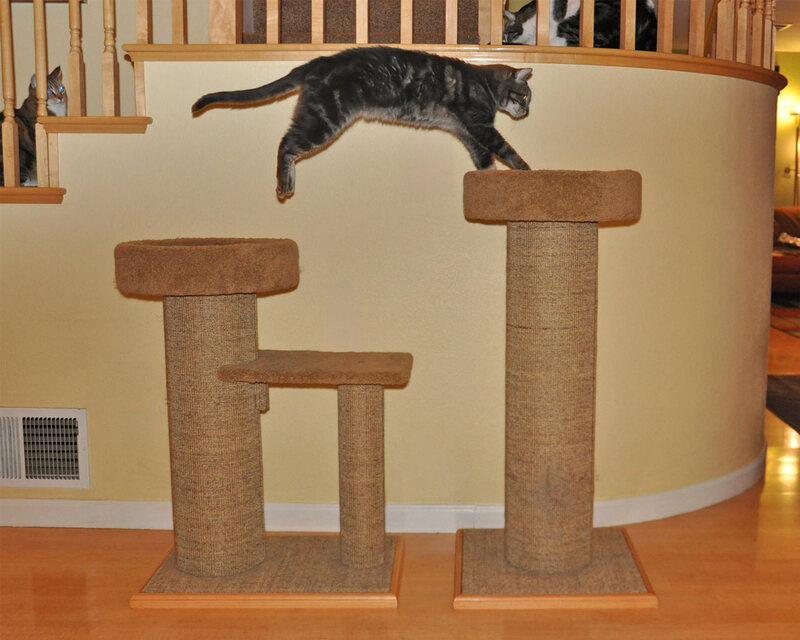 Three commanding levels for that "I'm the master of all I survey" behavior that cats love to engage in. 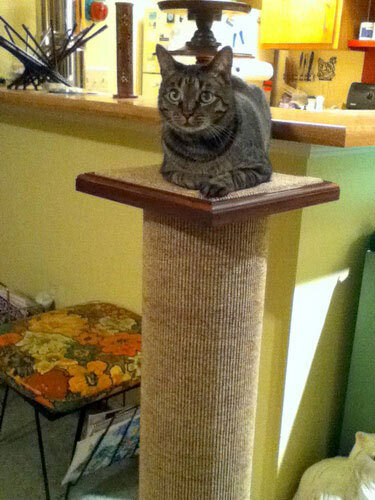 One level is a little higher for the feline that wants to be Top Cat (even if it's only for the moment). The other two are equally inviting so that two cats can enjoy them harmoniously. 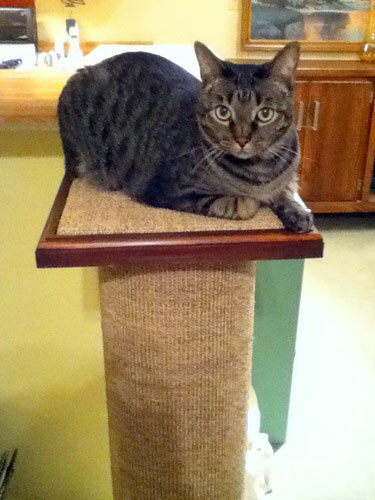 Posts are covered in sisal, the perfect cat-scratching material that is tough, rough, and satisfying. Wood trim that comes in light or dark stains, for an attractive appearance. Double-thick base to ensure maximum stability. 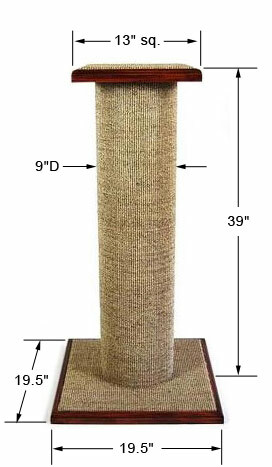 The perfect height for window-gazing but also for allowing a cat to stand at the base and stretch out completely while scratching, working all of the muscles in the back and shoulders. Made in the USA for the best quality possible. 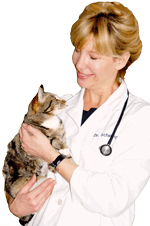 Dr. Christianne Schelling developed the Command Center because she has multiple cats herself. 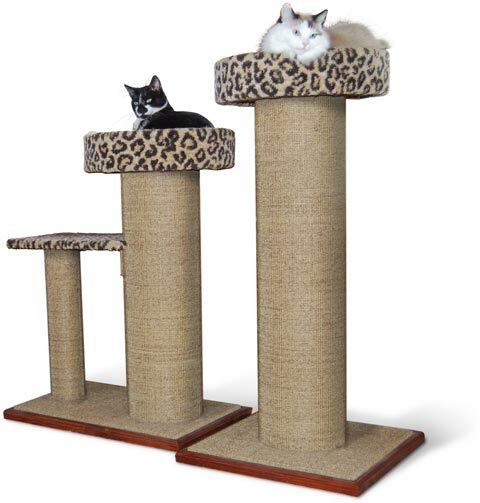 My cats have been using cardboard and carpet scratch post and both have worked well. But what a mess, especially the cardboard. Little pieces everywhere. Both wore out fast and had to be replaced often. I got the MONDO today. What a wonderful piece of workmanship. Beautiful to look at and very well packaged. Easy to put together. My cat Scotty went to it right away. He scratches, stretches and climbs...then perches on the top. 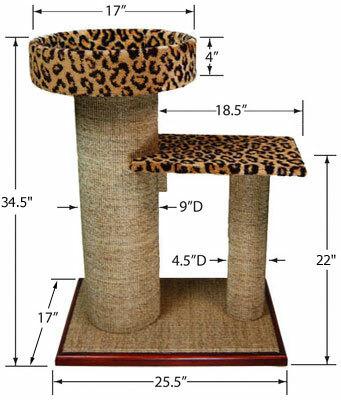 I plan to order the Purrfect View to replace the carpeted pieces I have now. Just wish I had ordered the combo MONDO and Purrfect View and taken advantage of the discount. If you are contemplating ordering, don't hesitate to get that combo. When you see the quality of this product you won't regret it.